All three of the big phone operating systems now have voice command of some kind. Apple has Siri, Google has its impersonal and nameless search box and Microsoft has the perky Cortana. 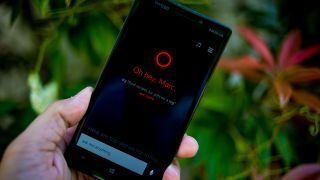 But it seems that Microsoft has aspirations of spreading its assistant's wings far and wide, and will soon launch a version of Cortana on Android and iPhone. In many ways Microsoft has really created a decent personal assistant with Cortana. Jovial when needed and helpful when required, Cortana takes a handful of best bits from Siri with some of the cleverness of Google and its location aware services. Cortana, for example, can remind you of things to ask when a specific contact is called. It also allows geo-fencing, which lets you set specific reminders when you get somewhere. The project name at Microsoft is "Einstein" although it's not entirely clear if that's the name of the project to put Cortana on other devices, or if the name Cortana will remain exclusive to Microsoft products. The search assistant, who takes her name from a character in Halo, will be coming to Windows 10 when it launches later this year. According to Reuters, Microsoft has ambitions for Cortana that stretch way beyond what Google and Apple currently offer. It seems the firm sees this project of being much more like artificial intelligence, offering you context-sensitive information when you need it, and helping you be more efficient. The big problem with moving Cortana to other devices, of course, is that it needs to be integrated quite tightly with the rest of the OS to work at its best. That will likely be the biggest challenge here for Microsoft.